This site is crammed full of content, all of which is 100% free – over 200 posts on a wide range of subjects, including recording, mixing and mastering. But there’s a limit to what you can present clearly on a blog, and for people who want to dig deeper into some of the most popular topics, I’ve created some products you may find interesting or useful. If you like the free content on Production Advice, you’ll love these ! 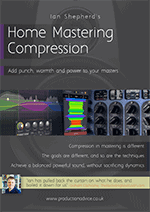 Compression is often referred to as a magic ingredient to achieving professional-sounding masters for your music. And it can be – if you use it right. 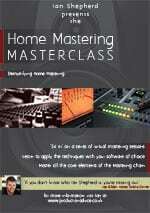 Learn how to get great results mastering your music at home. My “flagship” product, HMM is an 8-week online membership course, run twice each year. 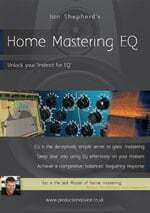 Each week you get a video showing exactly what, how and why I do what I do in mastering, in a wide variety of genres. Plus interviews, bonus content and a private Facebook group membership.